Come on down to MST3K.com to get an excellent deal on Experiment 413 - Manhunt In Space! That's right, today and today only (with today being whatever day you happen to look at this post), you can watch Joel and the Satellite of Love crew riff on this 1956 film absolutely free. But you know what? We like you. You've got an honest face. So just for you we're gonna throw in a General Hospital short, and maybe even some funny sketches. But those will only show up for you and no one else, so if you watch and see these things you'll know you're the "you" we're talking about. 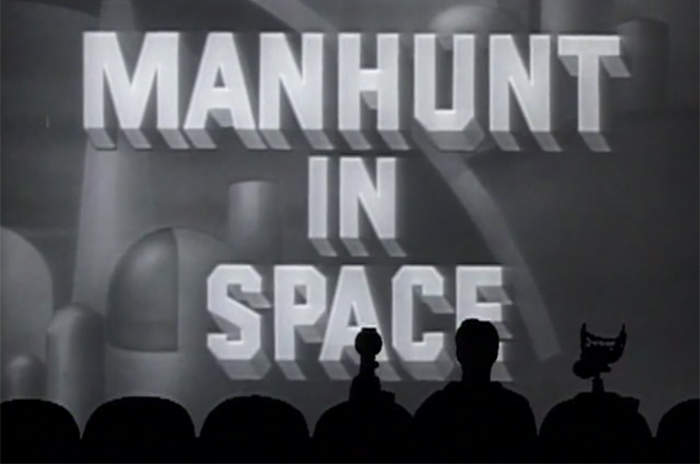 Watch Manhunt In Space in full here!